This is very interesting as well as tough picture riddle for adults. 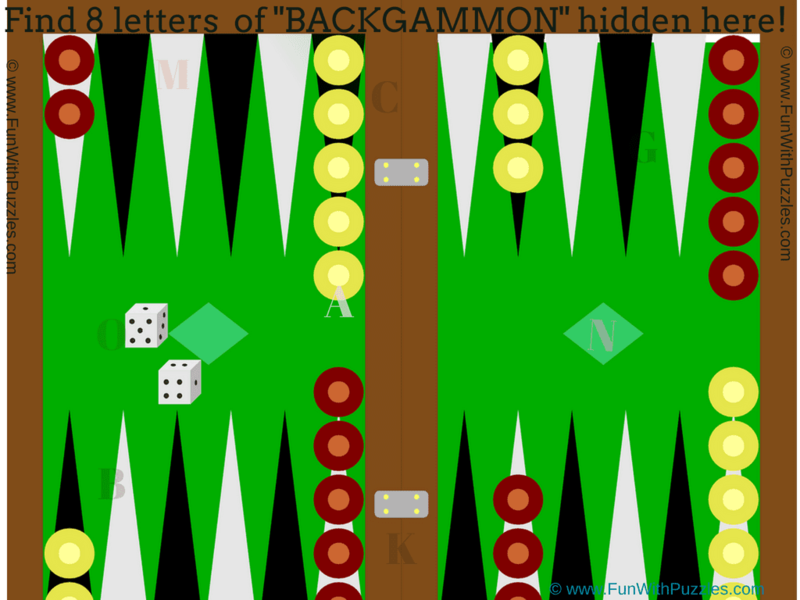 In this Puzzle Puzzle, there are 8 letters of word "BACKGAMMON" are hidden in this picture. 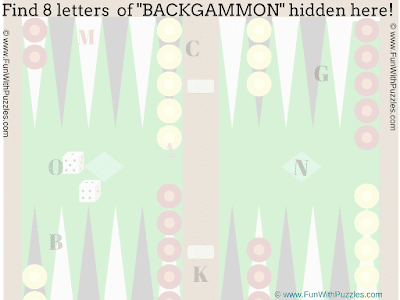 Your challenge is to find these hidden letters. 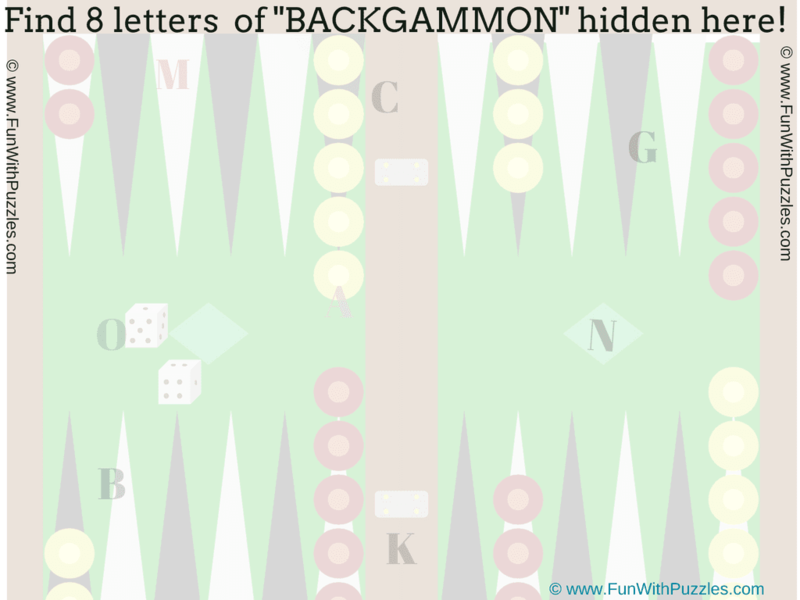 So can you take this challenge and find these hidden letters in this Puzzle Picture? Can you find these 8 hidden letters in this Picture? Answer of this "Hidden Letters of Backgammon Picture Riddle for Adults", can be viewed by clicking on button. Please do give your best try before looking at the answer.